When I’m trying to get my kids to try something new, I tend to pair it with something old — something they’ve tried before and liked. It’s a trick that’s worked well for me in the past, and I used this trick again tonight. 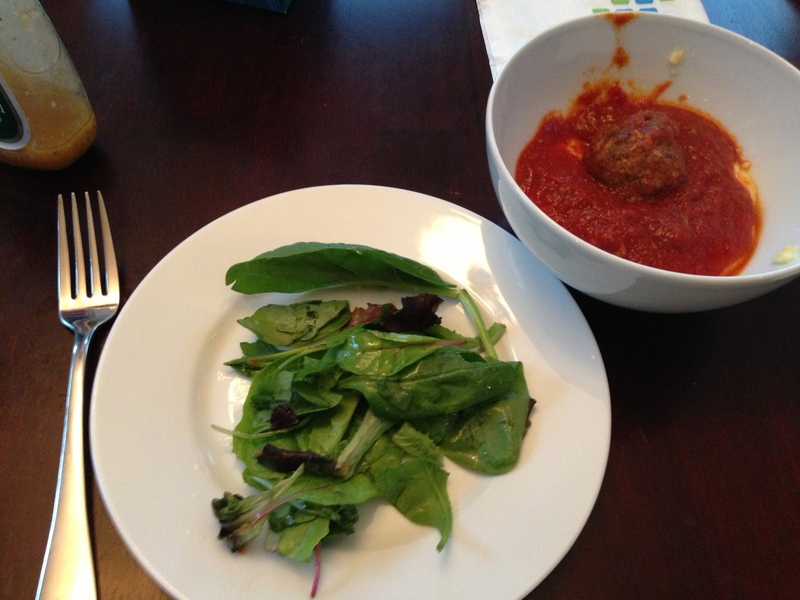 If I had to put a finger on it, I’d say our family’s favorite dinner is homemade Spaghetti and Meatballs. But I didn’t feel like having spaghetti tonight. So I made our favorite dinner with a twist: Polenta. I’ll admit: I’m not a huge fan of (firm) polenta and have, therefore never made it for my kids. In fact, the last time I tried to make polenta, I set it on fire under my broiler. True story. But I’ve been wanting to give it another try, so I looked online for a recipe for creamy polenta. This Creamy Cheesy Polenta I found on www.barefeetinthekitchen.com screamed out ‘TRY ME!’ tonight. Talk about comfort food! But while I love grits, my family does not. That’s why I paired it with the sauce and meatballs. I make homemade sauce at least twice a month because it’s so very easy to make and, personally, I can’t stand jarred sauce. Plus, I can make a huge batch of it and freeze half for a future meal. Enjoy the comfy way your house smells. 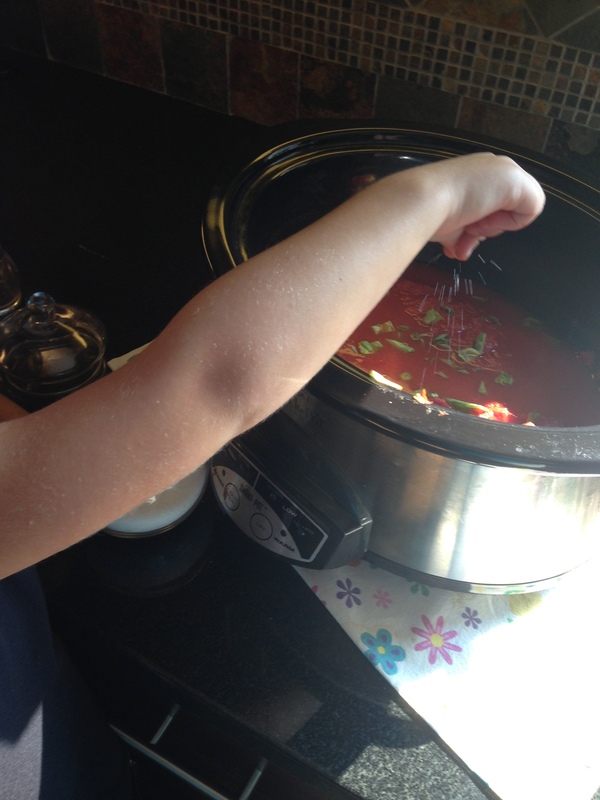 Put all ingredients in huge mixing bowl and mix them with your hands. 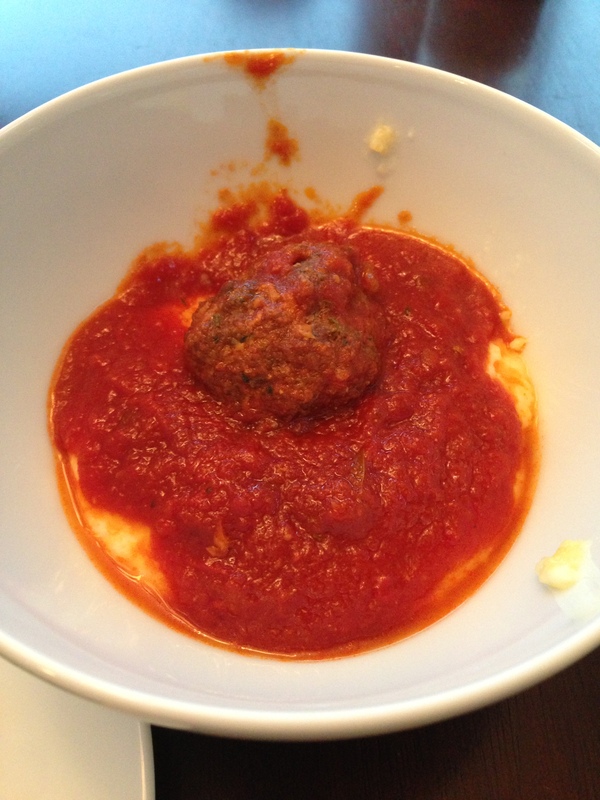 As expected, my 7yo complained about not liking ‘grits and gritty’ things, but that he liked the sauce and meatballs. But the rest of the family really liked it. My 5yo even had seconds!! So did The Hubs, who grimaced when I told him we were having polenta for dinner. (I think he was remembering the aforementioned Polenta Fire of 2004.) But when it was all said and done he really liked the meal, even though he wanted spaghetti. Ah well… whatcha gonna do? I’m gonna keep trying… that’s what. Looks yummy to me! I had to giggle about the fire and the hubby grimace! Hope all is well with you guys this fall. 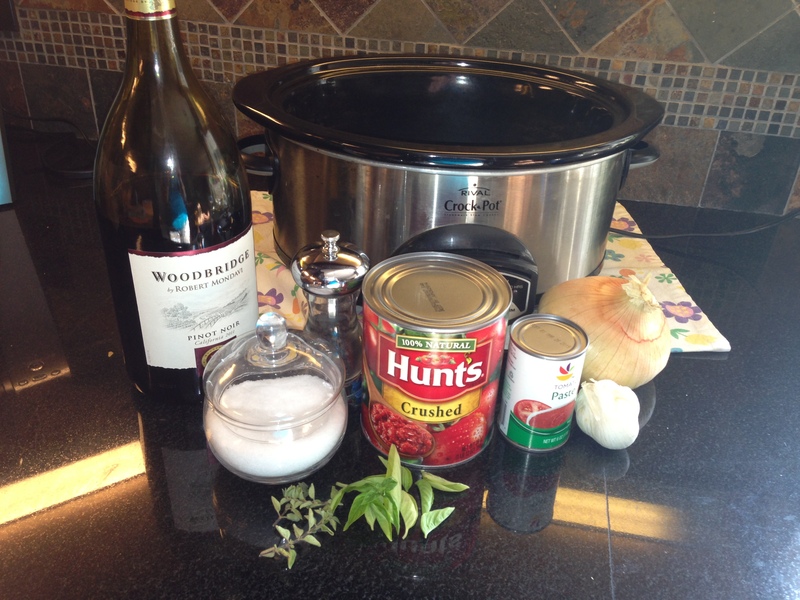 I am looking forward to making homemade sauce sometime soon now that the weather is getting cooler.